Amid rumors that the Facebook account of Davao City Mayor Sara Z. Duterte has been one of those purged accounts, the local chief executive said on Wednesday FB is not a public property so it can do what they want. 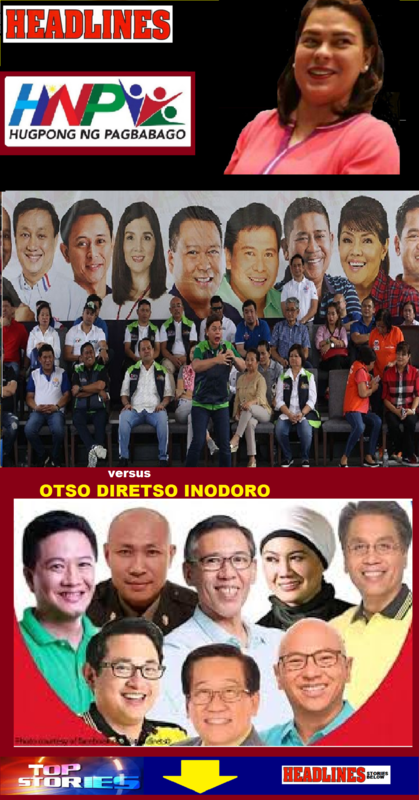 “They have all the rights kung ano ang gusto nilang gawin sa negosyo nila (they have all the rights to whatever they want to do with their business),” she said in an interview at the sidelines of her campaign in Prosperidad, Agusan del Sur. “Kung ayaw nila ang isang account, they can very well take it down (If they do not want an account, they can very well take it down),” the local chief executive and Presidential daughter added. Meanwhile, a Facebook representative clarified that the mayor’s account was on a “security checkpoint” and was not part of the recent purging which included several accounts supporting the Duterte administration and his allies. “The account was placed on a security checkpoint after our systems detected suspicious attempts to gain access to her account,” the Facebook representative said in an email sent to the Philippines News Agency (PNA). “In the world of politics, Facebook is facing major criticisms not just in the Philippines — even in the US because of its policy to kill accounts associated with the Trump administration, accounts that are pro-Trump,” he said in text message. “It was a personal account. But if it can happen to Mayor Sara, it means it can happen to anyone,” Tupas added. Mayor Sara’s camp heavily relied on social media for the campaigns of Hugpong ng Pagbabago, a regional political party that she formed and whose senatorial slate topped Pulse Asia survey.